In the game Round House, players are the head of a family who tries to lead their members to glory. By visiting merchants and acquiring the help of specialist, you can expend your influence event face ruthless pirates.At the beginning of each year the whole family must come together to pay respect to the ancestors and present your accomplishment. 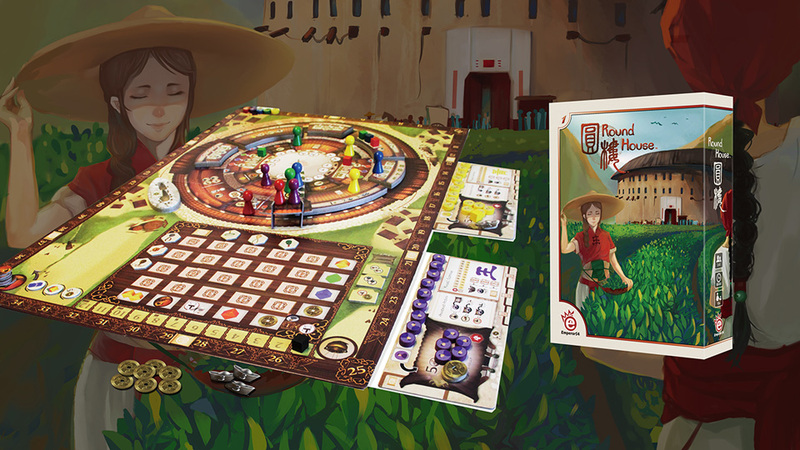 Round House successfully combines the classic gaming mechanisms with traditional culture, bringing oriental colors into you game play experience. 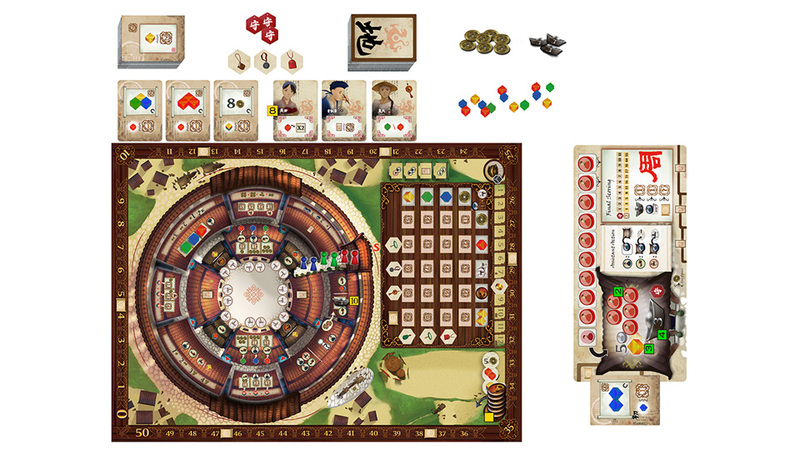 Players take turns moving their pawns around the circular building in one direction, stopping one various merchant with different offerings. Whether you end up achieving your goals, depend on cleaver strategy and improvisation. Performing different actions to get goods, trade goods for money, hire experts, send family members for distant business, and eventually bring the families home to worship the ancestors. You must find By cleverly moving your pawns around the round house and maximizing the performance of your faithful family members, you might become the most glorious family and win the game! The different actions allow players to devise their strategy freely. Round House is a game with straight forward rules but provides endless possibilities. In 2070s, humans have colonized hundreds of planets in the galaxies, with robots being extensively used for space missions. Welcome to the most well-known geisha street in the old capital, Hanamikoji. Geisha, the graceful women elegantly mastering in art, music, dance, and a variety of artistic performances after years of training, are greatly respected and adored.